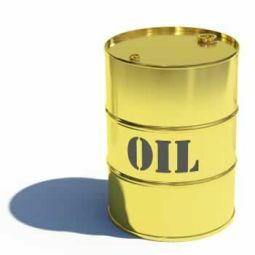 Crude oil prices prolonged the declining momentum for the fourth session in a row as investors remained worried over potential downgrades in Europe after global rating agencies like Fitch and Moody’s casted doubts over the region’s plan to avert an onerous debt debacle. Sentiments remained weak ahead of EU finance ministers talk scheduled later in the global day, to meet a self-imposed deadline for drawing additional aid and crafting together new budget rules. Meanwhile, the dollar gained strength against a basket of currencies amid concerns over rising tensions on the Korean peninsula after the mercurial leader Kim Jong Il of nuclear-armed North Korea died, which made the dollar priced fuel prices costlier for overseas investors. Benchmark crude for January delivery slipped $0.66, or 0.7% to $92.87 a barrel on the New York Mercantile Exchange. In London ICE February Brent crude declined by $0.70, or 0.6%, to $102.65 a barrel.